It all started with a tumultuous beginning of year for fans with (false) rumors circulating all over the web about Tina’s health. Then as if things weren’t that bad already, Rhino Records now in charge of Tina’s catalogue released a new best of album entitled ‘Love Songs’ (lucky ones could even win on the blog) Can you blame them? Or management? Don’t know but one thing is for sure, it is almost impossible to promote a new album this days without the participation of the artist. And Tina being retired from music business, chances are getting slimmer to see that happen one day. But still even without Tina’s participation of ‘new’ release of PD would have been a great way to celebrate the event. In the Spring it was time for Tina and fans to go Beyond again with the release of the third album in the series, ‘Beyond, Love Within’. A new album composed of mantras, prayers and spiritual songs. Tina proves on the few tracks on which she appears (her rendition of “Motherless Child” gives goosebumps) that her voice is still as strong as it used to. We had the chance to be invited to the press conferences in Berlin and Zurich. August 2014 – Is this really Tina Turner in a commercial for Swisscom? Yes, and that was unexpected to say the least. Over the years Tina declared in interviews that she was totally reluctant to new technology and that she hated computers and sophisticated electronic devices and now at 74, she is the new face for Swisscom communication app IO and using Samsung Galaxy S5! For the occasion, the tv commercial produced ended in a emotional, funny journey through Tina’s life and career with beautiful images of the singer and Switzerland. After “that much” exposure, the end of the year went back to quiet. In September, fans gathered in Nutbush for the grand opening of the Tina Turner Museum which turned out to be a great success! We saw Tina enjoying Munich’s Octoberfest with Erwin and friends. She also received the honorific TARA awards along with the Beyond ladies. It’s kind of a tradition now, Tina sent her greetings in video from her Swiss mansion! Mansion that she almost never leaves so the Queen wants what’s best for her street and so she is this year generous donator of Kusnacht. Get Tina Turner’s ‘Love Songs’ Here. Get Tina Turner’s ‘Beyond Love Within’ Here. 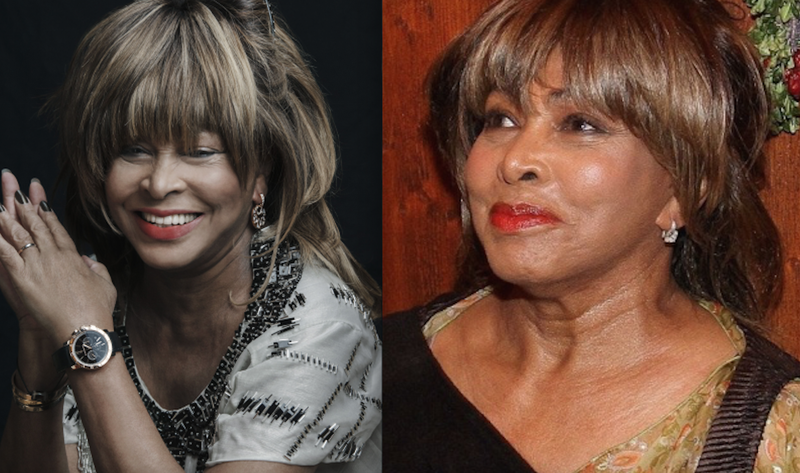 Get Tina Turner’s 2015 Calendar Here. I am rather surprised that a 30th Anniversary Edition of 1984’s PRIVATE DANCER didn’t see a release…esp. when you consider how other artists of her era, like Bowie and Bryan Adams, had new commemorative re-releases of their respective classic albums…then again, Prince and Warner Bros. are supposed to release a 30th Anniversary Special Edition of PURPLE RAIN, including all of the music and songs (inc. The Time and Appolonia 8) from the motion picture soundtrack, and that hasn’t come to see the light of day either. Hopefully, somebody in both artists’ camps are on top of these packages. I still say Tina should do a Jazz album, and just not tour it on the scale she would for her other LPs. Or, not tour the album at all, and just focus on T.V. promotion and videos. We’ll see. No tours I can understand perfectly, but she could do a album, a final album with duets (Bryan, Cher, Annie Lennox, Bowie). And a special concert as she did for “24/7” “Celebration”. That’s all…and we would be happy forever. As much as there was so many denials I still think Tinas health had some input into the lack of events. I don’t believe she was 100% this year, if she was she’d have been more active with the beyond project. Just my opinion, but her health is her private life. Roger or EMI should have done more to celebrate all the milestones 2014 brought for her!